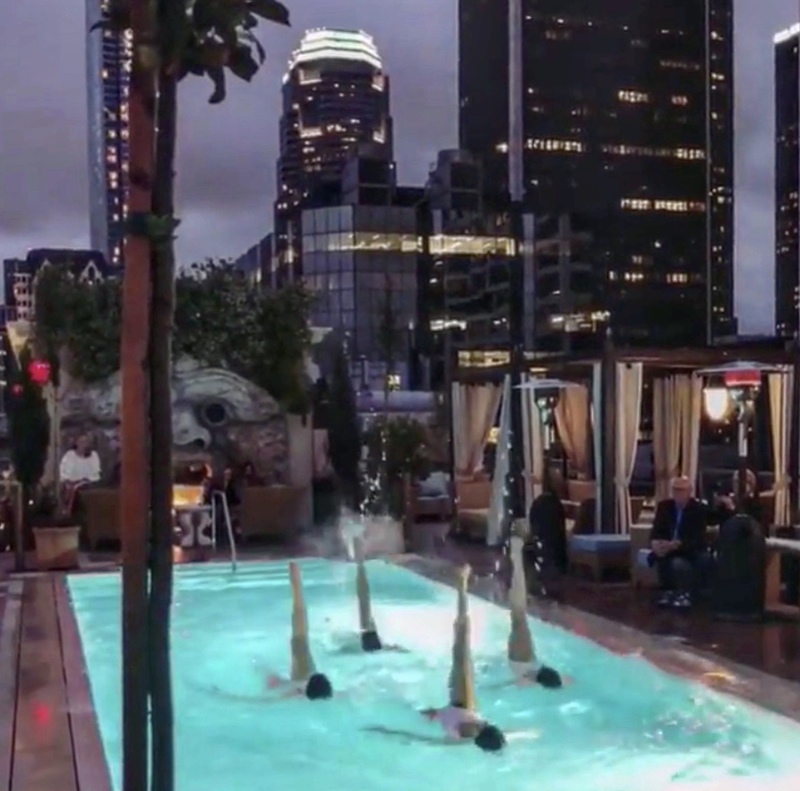 Aquabatix USA has been busy kicking off the pool party season in LA this past month. With 3 events booked in with ten days of each other, the girls were kept on their tippy toes performing all over the city of Los Angeles. First up was a performance at a special fundraiser held by top surgeon, Dr. Sheila Nazarian at her stunning home in Bel Air. The girls performed a couple of routines during the Californian sunset much to the guests delight. Finally onto the third pool party of the week. This time the performers channelled their inner mermaid for a birthday party in Encino. Dressed up in colorful fins and mermaid decor, the girls posed around poolside then elegantly performed in the water as the party got underway under the moonlit sky.